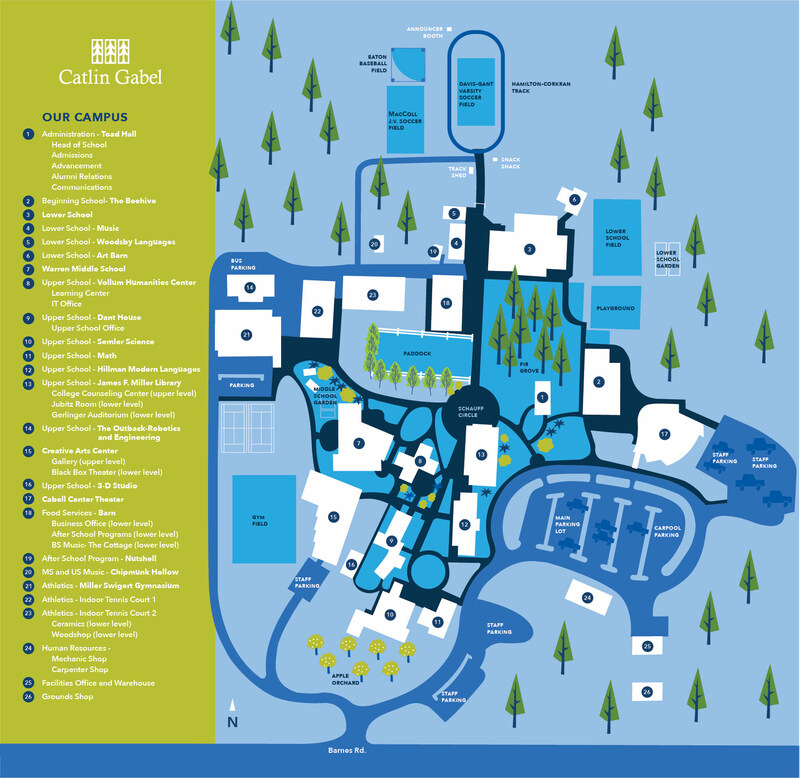 Catlin Gabel is a 67-acre oasis of green in an increasingly urbanized area. We are located five miles from downtown Portland next to Providence St. Vincent Medical Center. We offer 5 bus routes that provide access to campus from all quadrants of Portland and greater Beaverton.